The Woman's Earth 5th Anniversary: Caribbean Carnival! 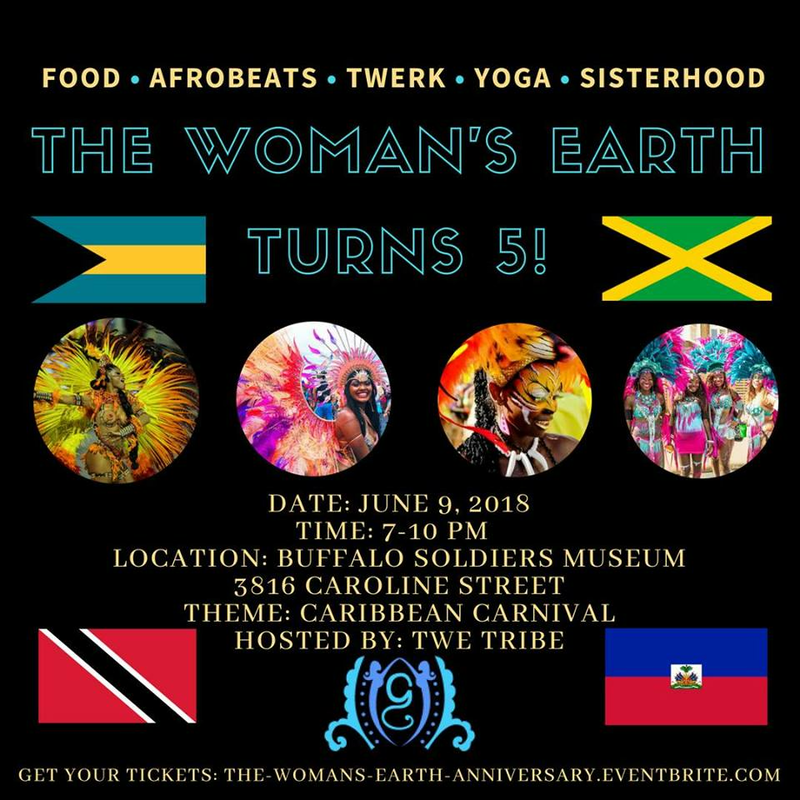 The Woman's Earth turns 5 Years on June 9, 2018 and we're throwing a Caribbean Carnival Tribe Night Out party hosted by OUR MEMBERS - the TWE Tribe! This event is open to EVERYONE. Our event will be hosted at the historic and newly renovated Buffalo Soldiers museum in Third Ward keeping true to our mission of Self-Love Ambassadors who support community. We can't wait to host you and your sister friends in this gorgeous space. Grab your Tribe Sisters for an amazing evening of Food, AfroBeats, Twerk, Yoga and Sisterhood!